First off, I want everyone to checkout our Annie Mac Round up this week as its by one of our new editors and she needs some love. She starved all night to get this up and well, I'm pushing it just after this SS so you kids will be inclined to stroll over and checkout the round-up of the most important weekly radioshow in dance music. 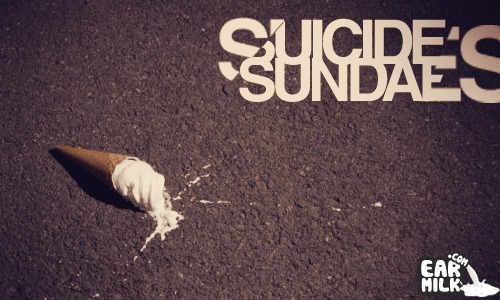 In the world of Sundays and Sundaes we actually have a big list for you this week. The Italian duo Blatta & Inesha, make a big dent this week with a collab with Mustard Pimp, and tons of other healthy remixes and rock outs. A new Boys Noize remix of Editors as well as a Daft Punk remix of Tron Legacy theme are some of the big names, but you need to checkout SymbolOne as well as the Aoki side project RIFOKI. you guys need to check your sources, that is NOT a Daft Punk remix. I was a at a special trailer screening for Tron Legacy with the director and he confirmed that this is a fake. Do you know who made that remix? fyi: SomethingALaMode is written in one Word.